Dirt Bike Racing Games – test your skill online, are you that good? Pit bike online dirt bike games. Dirt bike racing games are the ultimate in dirt bike games that are found online. 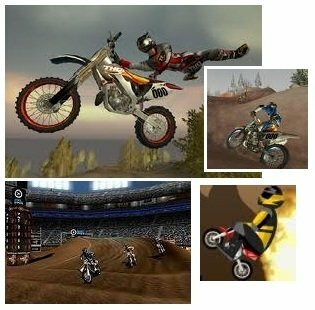 They can be played and enjoyed absolutely free with Dirt Bike Games Online, an arcade site for any virtual dirt bike fanatic who enjoys playing dirt bike games online for free. Their team is constantly hunting for new and of course thrilling dirt bike racing games that they can add to their cool dirtbike racing games collection. Dirt bike games are the most addicting and exciting games that can be found on the net, and will keep anyone entertained for absolutely hours on end. 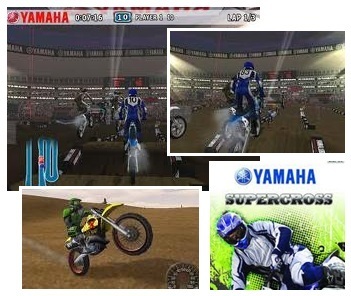 Exciting and new dirt bike racing games are always being added to the arcade site and the bonus is that they are free. Braapi Motocross is a challenging dirt bike racing game that is found on the Dirt Bike Racing Online site. The game lets a person pick their gender and also color of their bike. There are 4 skilled racers at the start of the line-up for this motocross circuit. The dirt course follows a twisting path that goes around the in-field, with high-flying jumps and hairpin turns. The course has to be negotiated with agility and speed. If not, the concrete stadium wall is hit or the biker flies off the racing course landing face down into the dirt. Catching up is futile. Tricks can also be performed in mid-air to grab some bonus points and to thrill the crowd with the biker's aerial finesse. Dirt Bike Championship might not be as easy as a video game player thinks. This dirt bike racing game takes the rider over steep hills covered in grass and requires finesse with the controls and raw instinct with the throttle for the bike rider to beat his opponent. That is, if he can reach the finishing line! The course of Level 1 is pretty easy. Overconfidence will cause a wipeout at Level 2. Not enough gas, and the dirt bike racer won't jump high and far enough to make it to the following hill. By this time, the dirt bike rider has grass stuck between his teeth. If the dirt bike rider is too aggressive and goes too fast he will merely achieve a quick back flip and see stars instead of brown and green. The dirt bike game, and the mini moto dirt bike. Lynx Bike 2 is set in a dry desert and challenges a bike rider over nearly insurmountable obstacles. From the start line the rider tests his skill by surmounting a lava rock. Raw speed gets a dirt bike rider nowhere as they open the bike's throttle and crash right into a rock. Fine balance and skill will get the rider through Level 1. The rider must keep himself alive throughout this very rocky course by using the down, up, right and left arrows on their keyboards. Jumps and rocks can be negotiated all through the course without swallowing too much desert dirt or rock. If a dirt bike racer hits a jump too fast they will tumble way out of their control. If he approaches an obstacle too slowly he won't get anywhere excepting flat on his back. Some exciting dirt bike racing games are TG Motocross 2 and 3, FMX Team, Uphill Rush, and Adrenaline Challenge to name a few. Most of these games are on full sized dirt bikes obviously; but there are a small number where you can race using minibikes too – so look out for those!